This letter is written by a William Nelson, who appears to be an ordinary seaman. The letter written phonetically and without punctuations gives a rare glimpse of conditions aboard ship. It would appear William Nelson’s ship was on station outside Toulon, the French Mediterranean naval port, and experiencing at least one action to relieve the long monotonous chore of blockade duty. I take the Liberty of writing these few lines to you hoping to find you in good health as it leaves me at preasant thank god for it, uncle I have rote two letters to my farther and has not had any answer from him which makes me think that he has left arnold (3) has the last letter he informed me of Mr. Hawksleys misfortune (4) but I hope that is all past and as Brisk as ever and he wrote to me respecting Lord Collingwoods action and I sent him 2 letters since and told im every particular of it it was on last September but our ship was not in it at all but in sight of them, but know this summer they are more bolder then ever they coms out side of there arbour and chase our ships of but 10 or 12 days ago our fleet was driven to the coast (?) and some of there ships came out and had taken one of our Brigs four of our 74’s man to how assistance and rundown among __?__ sail of the line and done a deal of damage to them and he never received a shot. 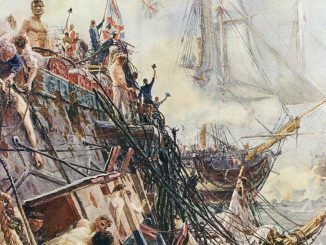 There is know in Toloune 14 sail of the line and 9 Friggats, and who have only 12 sail of the line and 2 or 3 friggats at the best of times our admiral Lord Collingwood (5) died on Board the Nile departing 98 (?) again home and Sir Samual Hood superceded him and since that Sir Charles Cotton (6) has know got the command up the Medetrannen whe do expect them out to run to some other port every day, our officers doe talk of peace very much here and whe do have us hopes that before next spring I shall get home again for whe have been 10 months out from England and has not had 18 days fresh provisions in that hole time and let me farther know that I do wish im to write as soon as pofsible and write back yourself and let me know all the news at home. Remember me to my Mother and to my Brothers and Sisters and to all enquiring friends and hoping before long I shall bee along with you all at home. 4. Probably John Hawksley. In 1788, he long with a Robert Davison erected a large worsted mill at Arnold which eventually employed 1,000 people. The mill closed in 1809, partly due to the death of Davison, and heavy financial losses caused by the trade depression arising from the decrees of Napoleon ( ie. the Continental system) against British commerce, coupled with the price rises of supplies caused by the French war. The mill’s apprentices were handed over to the recruiting Serjeant. Hawksley went on to open a new mill in Butcher Close, Nottingham on 5th February 1810. 5. Vice-Admiral Cuthert Collingwood 1750-1810. 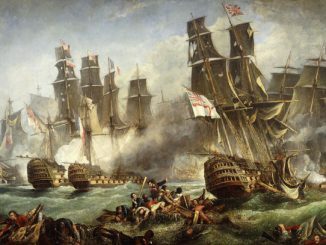 He assumed command of the Fleet at Trafalger after Nelson was killed, and wrote the battle’s dispatch. 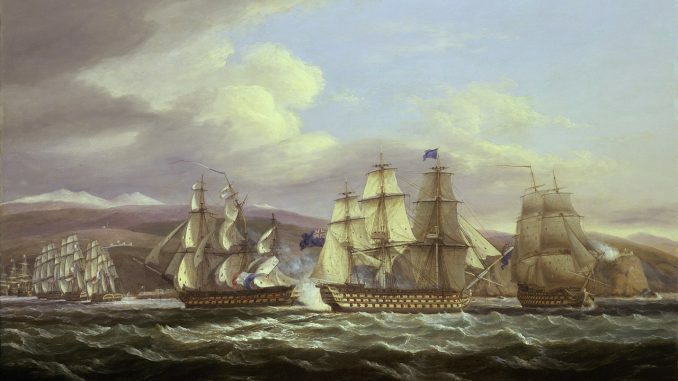 He commanded in the Mediterranean 1807-08, and supervised the blockade of Toulon 1808-10. He died at sea and was buried at St.Pauls, London. 6. Admiral Sir Charles Cotton 1753-1812. He commanded Naval units in the Tagus 1807-08, then in the Mediterranean 1810. 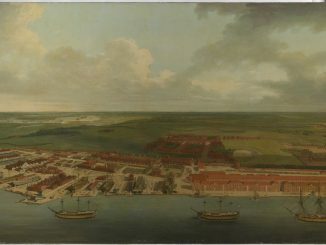 His last appointment was the Channel Fleet in 1812. William Nelson Letter, reference DD 798/16 Nottinghamshire Archivies. Reproduced with the Kind permission of the Principal Archivist, Nottinghamshire Archivies. Correspondence with Greenwich Maritime Museum. Dictionary of the Napoleonic Wars, D.Chandler. The Immortal Memory, D. and S. Howarth. History of Arnold, J.Russell and R.King, Nottingham 1913. This article first appeared in ” Napoleonic Notes and Queries “, published by Partizan Press, 818 London Road, Leigh on Sea,Essex, SS9 3NH England.